We rebuilt our bats from the ground up with old-school methods and cutting-edge technology. We start with the best-quality veneer wood on the market and use Amish square-cut craftsmanship, a 360-degree compression process superior to bone rubbing, and an advanced finishing system that guarantees 9H hardness – the highest rating available on the 21-level universal hardness scale. 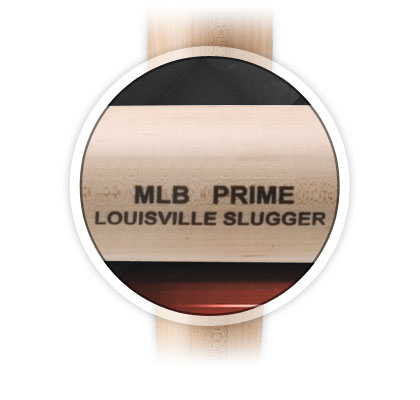 Slugger upgraded its superior lumber to the best quality wood on the market, which we call MLB Prime Veneer. Our exclusive compression process, superior to bone rubbing, guarantees 360 degrees of hardness and no soft spots. Our filler fills all grains and cavities before 3 layers of topcoat seal are applied to give the MLB Prime the hardest finish of any wood bat on the market.